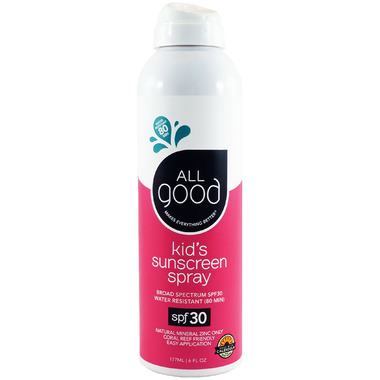 All Good SPF 30 Kids Sunscreen Spray has UVA/UVB Broad Spectrum Protection and is water resistant. By far my favourite green sunscreen. It goes on white but the cast fades within minutes. Very easy to rub in. I really love this sunscreen, it goes on so smoothly, and doesn't leave you white and greasy...its perfect!